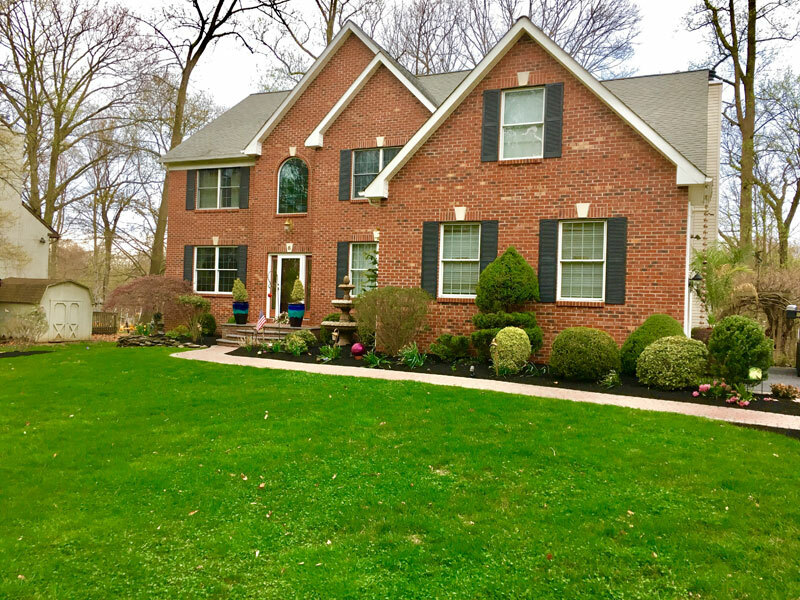 A spring cleanup is a great way to freshen up your home and provide lawn appeal for many months. This service starts with a free estimate with our team to discuss your needs and options. 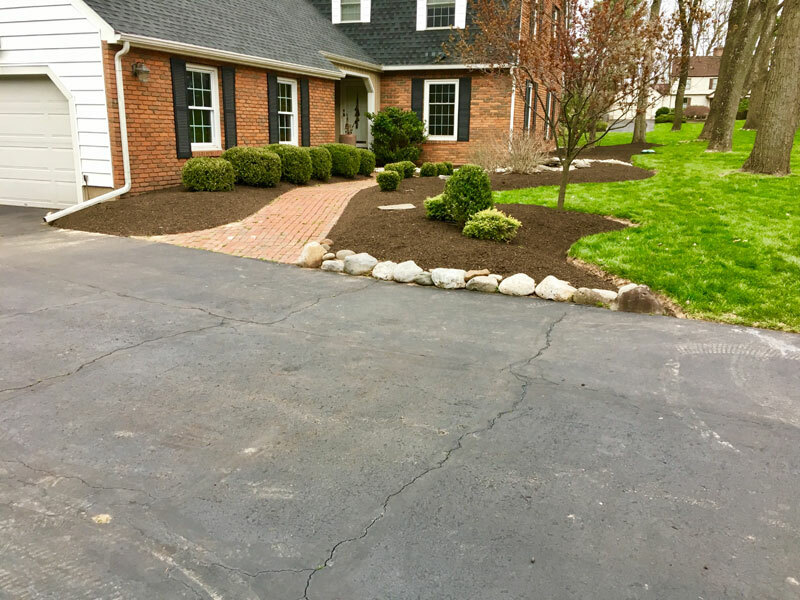 An standard cleanup Includes removal of all leaves and debris from beds and yard including any unnecessary mulch. We proceed to trim and prune shrubs and trees. Next, all weeds are removed and we apply a pre-emergent. We then install a fresh deep edge to provide a crisp look. 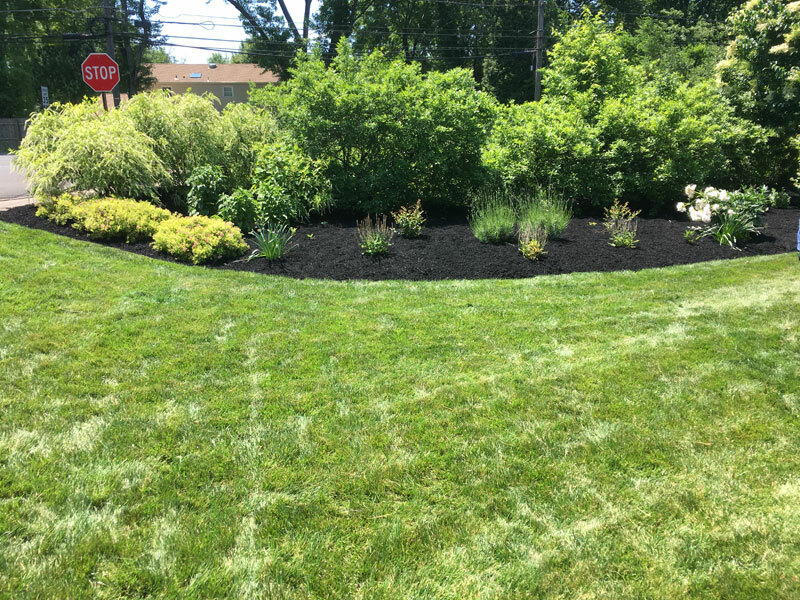 Our crews then install an appropriate amount of either premium black dyed or organic triple ground mulch. We also hand spread fertilizer to improve plant health. Similiar to spring cleanups, a fall cleanup is necessary to maintaining your landscape investment. Fall cleanups prepare your lawn and garden for the coming winter while extending the attraction. A fall cleanup service Includes removal of debris and leaves from property as well as any dead annuals and shrubs. Final trimming of shrubs to prep for dormancy and a redefining of beds in next. We also apply fall fertilizer and retouch mulch in beds. We can also provide season interests like cabbage and kale or pansies. An add on service to our spring cleanups. 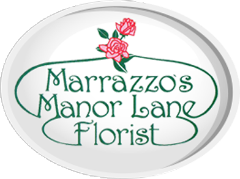 Monthly maintenance is a great way to extend the proper care and beauty of a spring cleanup. Our crews come monthly to provide a light trim and weeding of beds. All debris is removed and the beds are raked to freshen mulch. Also included is an application of pre-emergent and fertilizer. Our commitment to full service maintenance includes lawn mowing. Weekly cuts involve weed trimming and edging as well as blowing as clippings from walkways, driveways, and mulch beds.